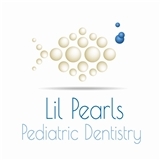 Lil Pearls Pediatric Dentistry (Rego Park) - Book Appointment Online! We saw Dr Fong after my high functioning autistic son had a bad experience with a different dentist. It was night and day! I was so worried he would be traumatized and refuse to cooperate, but the doctor was fantastic and it went off without a hitch!